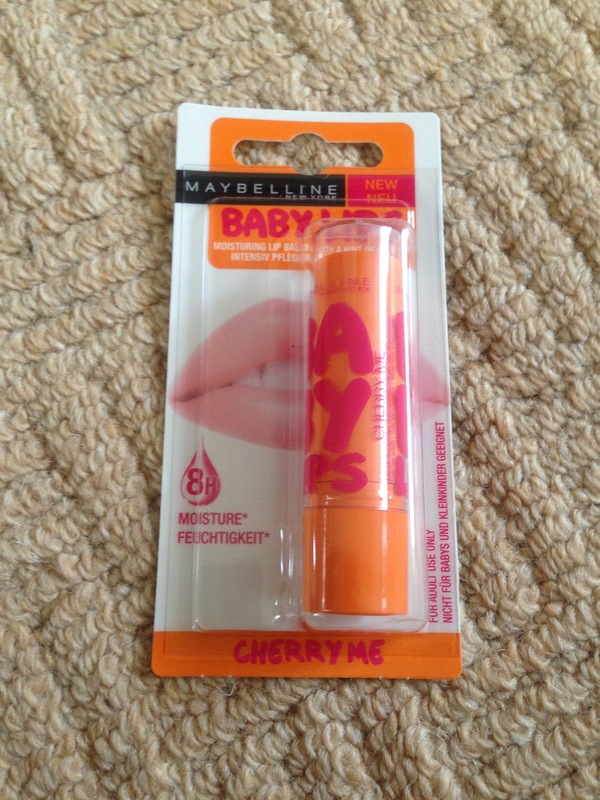 I had read on a few blogs that Maybelline had finally released their infamous ‘baby lips’ in the UK and I had been keeping my eyes peeled for them but hadn’t seen them until now! 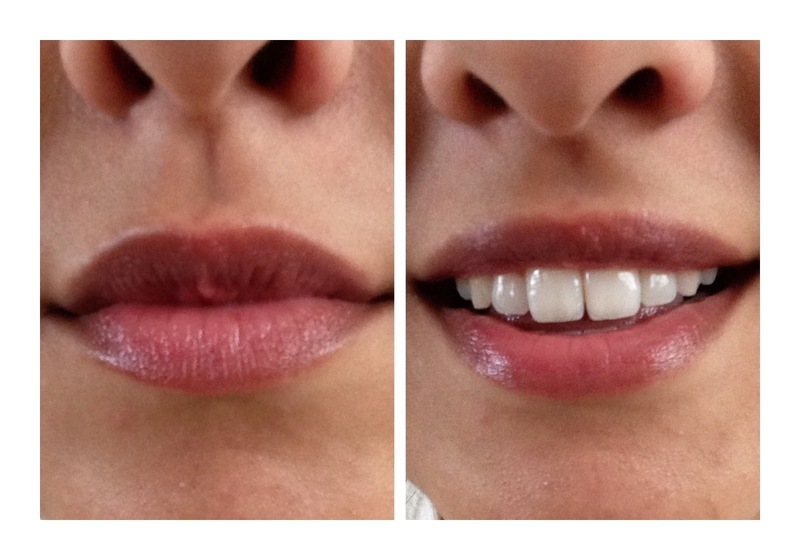 I really wanted to try them because I always seem to have dry lips and I love a bit of tint.. Not to mention anything that smells good, on my lips! These seemed like the perfect token! The packaging seems a bit flimsy and not really the kind that I’d happily whip out when meeting the Queen as its loud and bright (not to mention a bit flimsy) however, I don’t mind! I can tell I’m not paying for packaging because the product is cheap so I understand their thinking! When choosing the colours I had a choice between Cherry Me and Peaches because they were the only colours that appealed to me however, I wanted to try just the one for now so being an avid fan of the Haribo Cherries, I chose Cherry Me! Ok.. The smell! I CAN’T EVEN EXPLAIN! I want to eat it! It has that typical candy cherry scent! If you’ve ever had Cherry Drops, Cherry penny sweets or anything sweet cherry flavoured, you’ll understand! 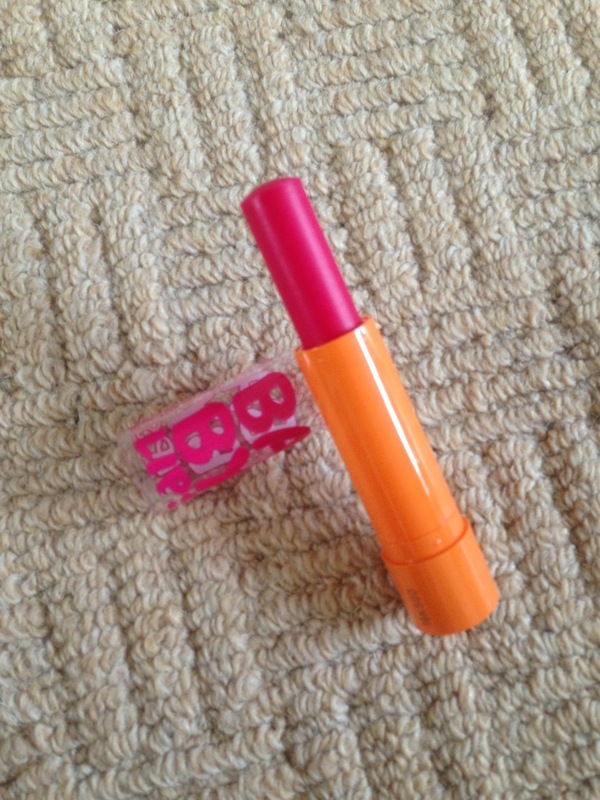 I love the fact that once I’ve got it on my lips and whilst I’m applying, people ask what smells so good! The colour isn’t super pigmented but I like the sheer colour it does have! It’s almost transparent apart from a very light red hue that you notice once you look hard! The moisturising factor is mediocre! Nothing uber drenching or anything but I like the finish which isn’t super glossy or super matte! You could literally wear this with any makeup look and it would suit adequately! All in all, I’m a big fan! I really like these and I know I’ll get through this ‘Cherry Me’ one in no time! So I’ll be sure to try some more soon!